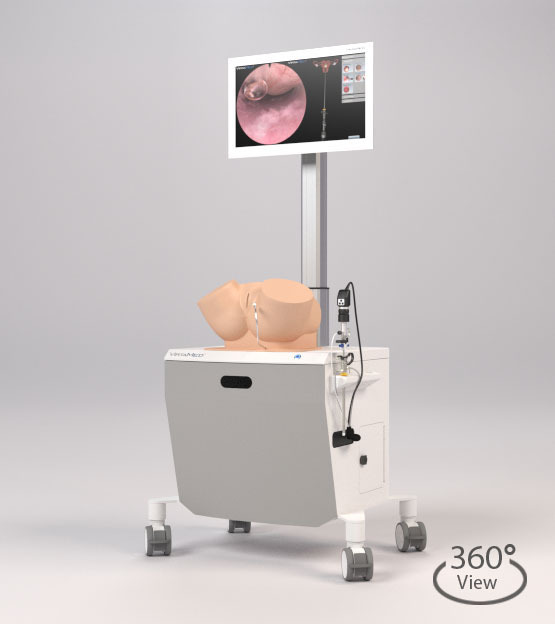 VirtaMed PelvicSim™ provides gynecology training in a virtual environment with no risk to live patients. It is the most realistic virtual reality simulator for uterine sounding, IUD insertion, and embryo transfer. Trainees can use a speculum and manipulate the version and flexion of the uterus with tenaculum forceps. Ghost tools demonstrate the correct movements and the unique patient comfort scale makes sure the doctor remembers to treat the patient with care. 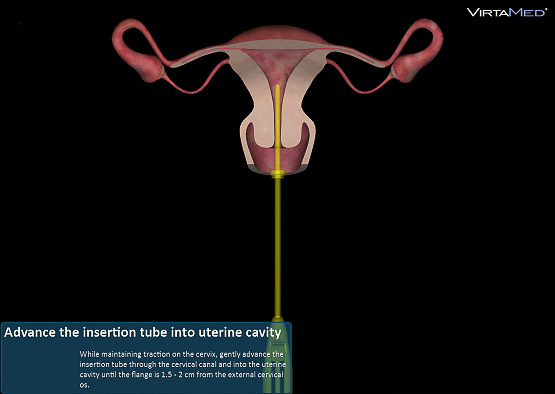 3 virtual patients for uterine sounding include anteverted and retroverted uterine cavities, as well as nulliparous and parous patient cases. Trainees can use a speculum and manipulate the version and flexion of the uterus with a tenaculum forceps. The ghost tools of the new simulator feature SimProctor™ show correct movements and positions while giving visual and colored hints. A unique patient comfort scale gives doctors feedback on how the patient feels during the entire procedure. After completing the guided procedure, trainees can repeat it blindly, without any visual help – just as in real life. 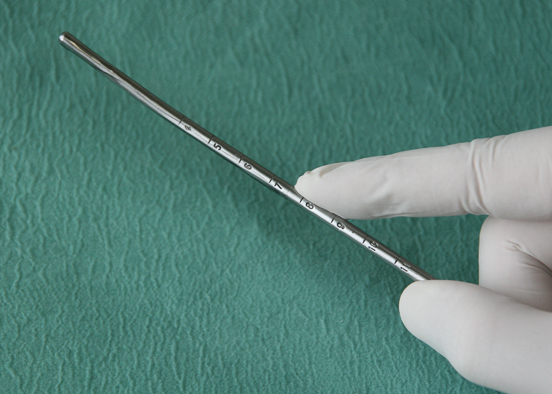 12 training cases for safe insertion of intra-uterine devices (IUDs) teach doctors how to correctly place Liletta™, Mirena®, Skyla®/Jaydess® or ParaGard® in anteverted or retroverted uteri, along with nulliparous or parous patient cases. Learning goals consist of training the relevant motor skills while safely handling and correctly placing the inserts. Again, the patient comfort scale gives immediate feedback on the safety and quality of the procedure. Outside views and ghost tools guide the trainee during the first placements. Afterwards, unguided procedures are recorded and can be looked at for debriefing. In collaboration with the American Society for Reproductive Medicine (ASRM), VirtaMed offers training for ultrasound-assisted embryo transfer. The procedure uses authentic tools, such as an adjustable transabdominal ultrasound probe, bendable catheters, a syringe, and a stylette. The training cases are based on real ultrasound images from actual patients, and the four different anatomies combined with twelve virtual cases prepare the physician for a wide range of challenges before treating actual awake patients. The module introduces three transfer techniques: afterload, as well as transfer with or without trial. Combine the VirtaMed PelvicSim™ with the VirtaMed HystSim™, and you get a comprehensive virtual reality simulator for diagnostic and surgical hysteroscopy. Both simulators are available on the same pelvic model. Essential hysteroscopy training prepares beginners for their first procedures. After completing the advanced training on VirtaMed HystSim™, residents also know how to take a proper biopsy, how to remove polyps with scissors or a grasper, do an endometrium ablation or handle challenging cases, including a fundal septum, multiple and intramural fibroids, and severe bleedings. VirtaMed PelvicSim™ is available on a pelvic platform which gives realistic tactile feedback. The pelvic model can be mounted on a nice display cart with high-end PC and height-adjustable 23” multi touch-screen or can come as a stand-alone version for mobile use at conferences or during trainings. 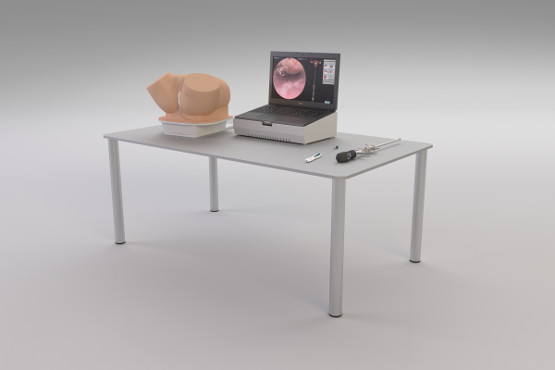 The simulator platform features a diagnostic hysteroscope with tracked working channel and/or original resectoscope. Also other original instruments are supported, e.g. adapted and tracked Essure® handle, IUDs (Liletta™, Mirena®, Skyla®/Jaydess®, ParaGard®) and micro-graspers and scissors. All hysteroscopic scopes feature in- and outlet valves for fluid handling, different cameras (0, 12, and 30 degree optics) and working elements - just as in real life. Trainees can also get used to handling a speculum and tenaculum during IUD placement and uterine sounding. 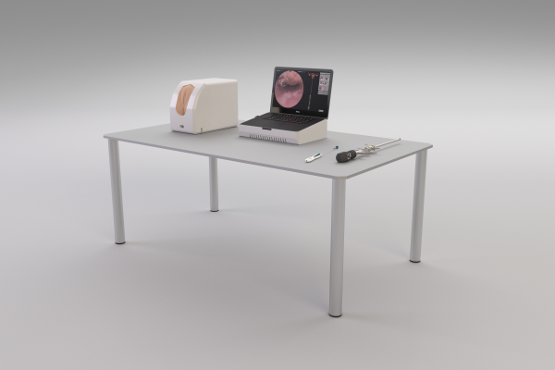 The PelvicSim™ Portable is a lighter version of the simulator, featuring the full-sized anatomical model and a laptop embedded into a small portable base. The mobile PelvicSim™ can be transported comfortably in two luggage-sized boxes, yet it still supports all the gear and software modules required and allows you to plug in several instruments at once. This platform has been used by our clients in conferences around the world. The PelvicSim™ Mini is the latest iteration of the PelvicSim™: the anatomic pelvic model is stripped down to contain only the essential parts, and the software can be operated on a simple laptop. The Mini, weighing only 22 kg when packed, is so compact that it can be carried as a single piece of luggage on any commercial flight. The Mini features the full range of software modules and supports all the existing PelvicSim™ tools; only the number of USB ports is limited, which means fewer tools can be used simultaneously.